Poindus Systems UK Limited has established a strong local UK presence ensuring partners receive the highest quality service synonymous with the Poindus brand. 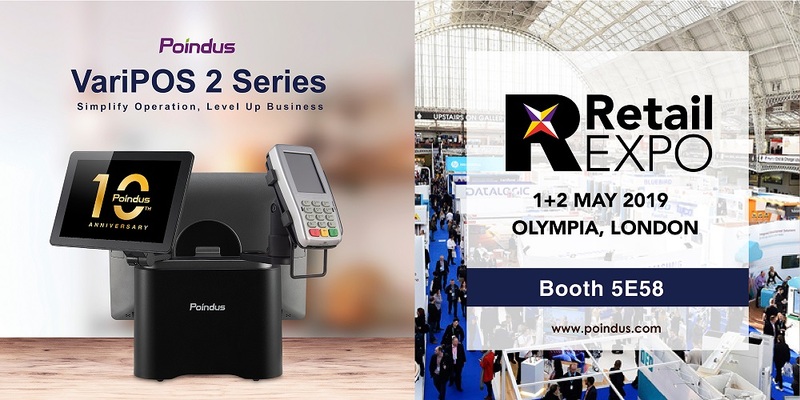 At this years RetailEXPO, Poindus will be introducing new VariPOS 2 Series products and new concept Product AI technology featuring product and face recognition. RetailEXPO, combines three leading retail exhibitions giving you a breathtaking view of tomorrow’s retail market. Visit the Poindus Team at Stand: 5E58 and see why Poindus is a leader in Retail POS technology.